Annie McKee, PhD is a best-selling author, respected academic, speaker and advisor to top global leaders. Her latest research was just published in her new book, How to Be Happy at Work: The Power of Purpose, Hope, and Friendship, published by Harvard Business Review Press. 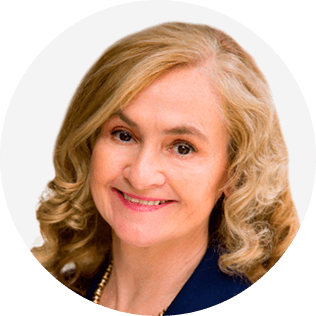 As a coach to executives in Fortune/FTSE 500 companies and organizations around the globe, she uses a person-centered approach that helps leaders develop their emotional intelligence, enhance their strategic thinking abilities, and build resonant cultures. Annie has advised many of the world’s most influential leaders in companies such as Luxottica, Sanofi, Thomson-Reuters, UniCredit Group, United Nations Development Program, Unilever, Viacom, Vodafone, PR Newswire and Creative Commons, to name just a few. Whether she is giving talks to business leaders, teaching seasoned executive doctoral students, working in provincial government offices in South Africa or advising teams in the c-suite of Fortune/ FTSE 100 companies, Annie is committed to helping good leaders become better and to creating vibrant workplace cultures where people—and their institutions—can thrive. Annie McKee’s session, Becoming a Resonant Leader, will enable you to delve deeply into emotional intelligence–what it is, why it’s important, and how to develop it in yourself and others. Annie will take you through a journey of discovery, looking at the world as it is now, and why we need to completely change how we think about management, leadership and work. She will not only help you to focus your attention on your coaching skills, but also on your own leadership, your own power to influence people and the world positively. 3. How you can use your own emotional intelligence to lead and to change the world, one person and one company at a time. Annie McKee’s session, “How to Be Happy at Work”, lays out the case for why happiness is not a nice-to-have at work, it is essential if we are to be our very best. Based on her own extensive research with leaders all over the world, as well as from positive psychology and neuroscience, Annie will present evidence for why happiness matters, what it is, and how you can help others–and yourself– to actively work toward experiencing more fulfillment, a great sense of hope, and more resonant, friendly relationships at work. This session will be interactive, provocative, exciting, and fun!